As from 1 January 2014, the Institute of Virology and Immunology (IVI) has two sites, in Mittelhäusern and Bern. The later is the former Institute of Veterinary Virology (IVV) of the Vetsuisse Faculty Bern. The new institute continues to offer high quality research, teaching and services in virology and immunology in cooperation with the Vetsuisse Faculty Bern. In addition, the IVI at the Mittelhäusern site is the Swiss reference laboratory for the diagnosis, surveillance and control of highly infectious animal diseases such as fowl pest (avian influenza), foot and mouth disease and classical swine fever. The IVI investigates the emergence of new diseases in animals and their potential for transmission to humans. It is the approval authority for vaccines and sera for animals. The IVI is part of the Federal Food Safety and Veterinary Office (FSVO). For current news, see 'About us'. The two most common cattle breed in Switzerland are infected by different types of bovine viral diarrhea virus (BVDV). Their distribution dates back to a 'religious struggle for predominance' in the 15th century, as published by researchers of our institute in an article in PLoS ONE. V’kovski et al. developed a way to tag any host protein that came near the virus factories. These new results provide clues about which proteins viruses actually need from their host cells. These findings could help researchers to understand more generally about how viruses multiply. In the future, this knowledge could lead to new ways to combat virus infections. Bat influenza A viruses have only recently been isolated in South American fruit-eating bats. 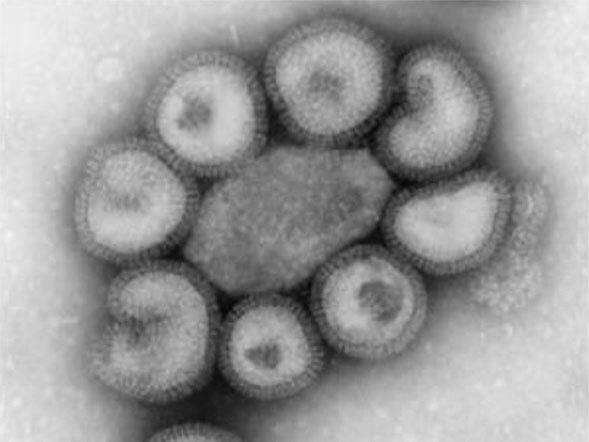 An international consortium of scientists have now identified the MHC class II protein complex as essential entry factor for bat influenza A viruses in multiple species.